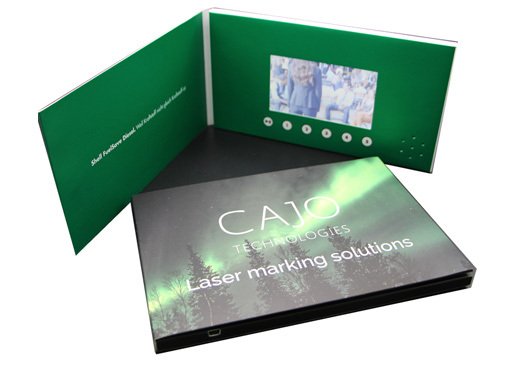 The A5, 4.3-inch video brochure is a powerful marketing tool in a small form factor. 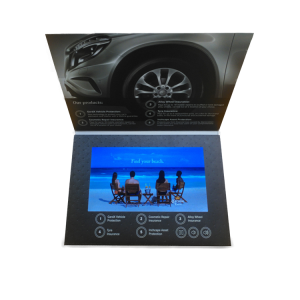 This video brochure is a similar size to an iPad, meaning it’s a truly portable marketing device. 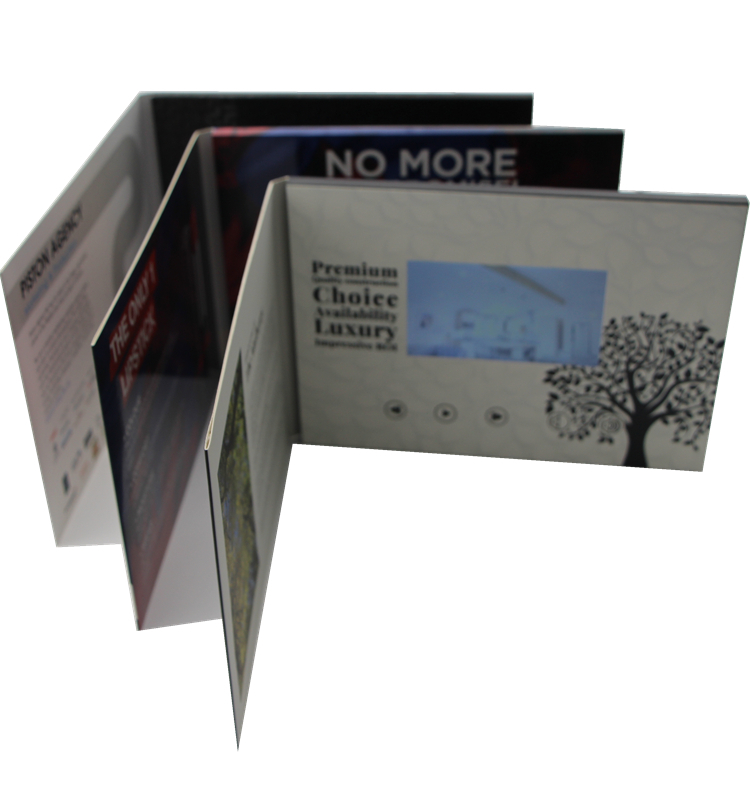 Our standard video brochures are A5 (210 x 148) because they are easy for people to carry and store. They are a similar size to a Kindle or iPad so will fit in a handbag or large coat pocket in a similar way. 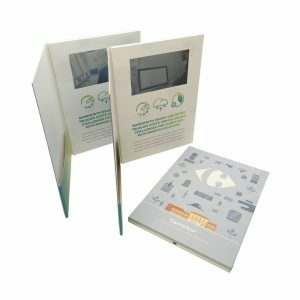 A5, which is roughly the equivalent of two standard postcards placed together, is the most convenient size for a portable marketing device. 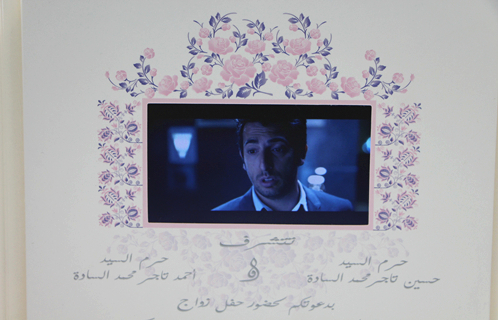 This is the size of the closed video brochure, when opened up the size of the video screen itself can vary. The 4.3-inch screen is a similar size to the display of an iPhone 6, 7 or 8. This is the smallest screen we do and is ideal for a picture-based video message. 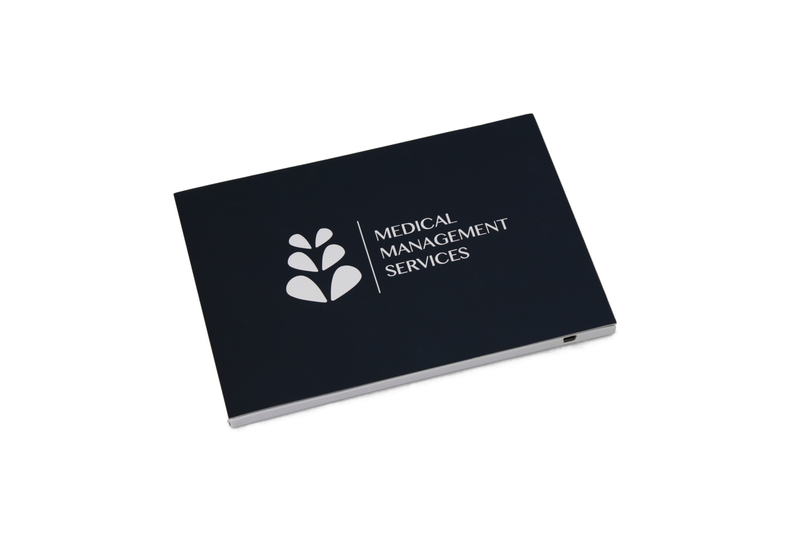 As this is the smallest screen, it provides maximum space on the cover and surround for any printed message or branding. VBM 100% exceeded our expectations. Great team to work with and excellent communication. 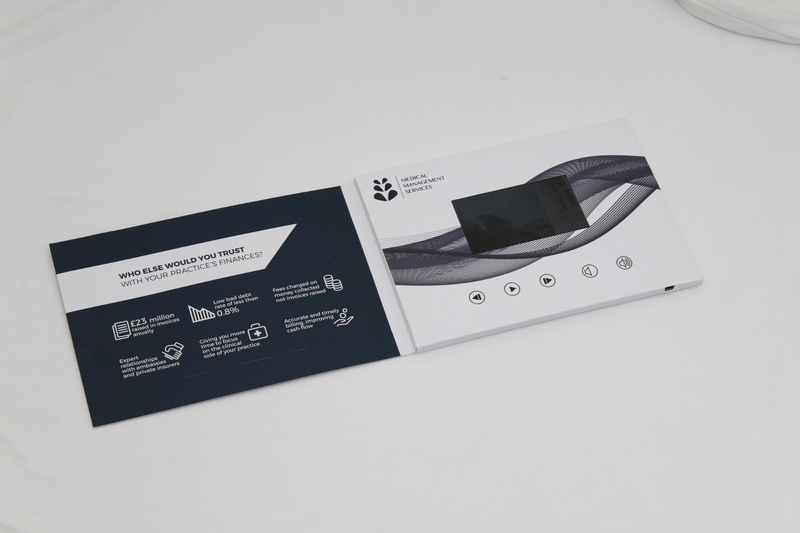 Our client was more than impressed and we definitely get more video brochures for our sales reps.
Great company to work with, helped us design unique video brochures that really helped our company make an impact at meetings and exhibitions. 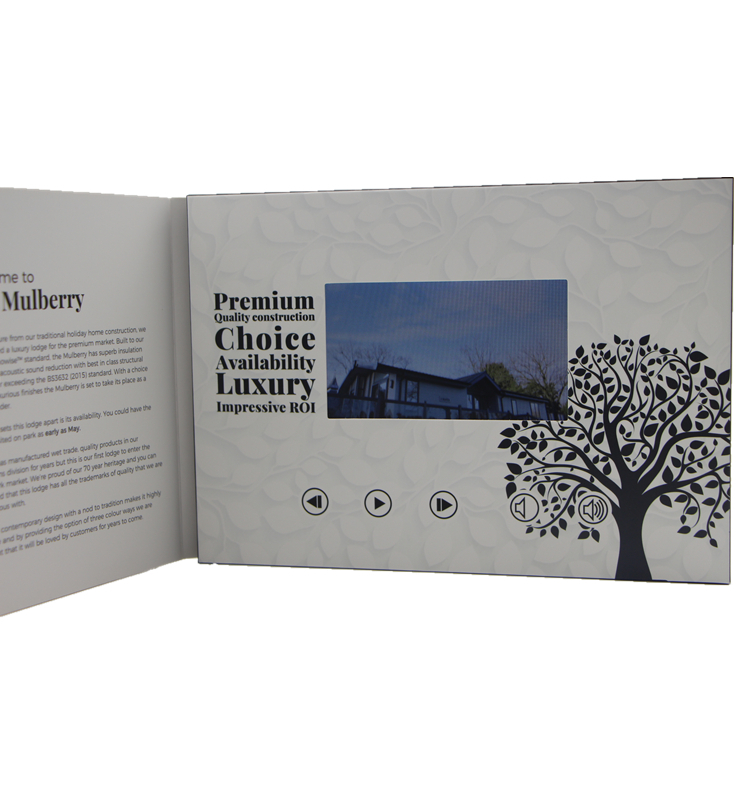 High quality product, that we can use many times and would definitely use VBM again!